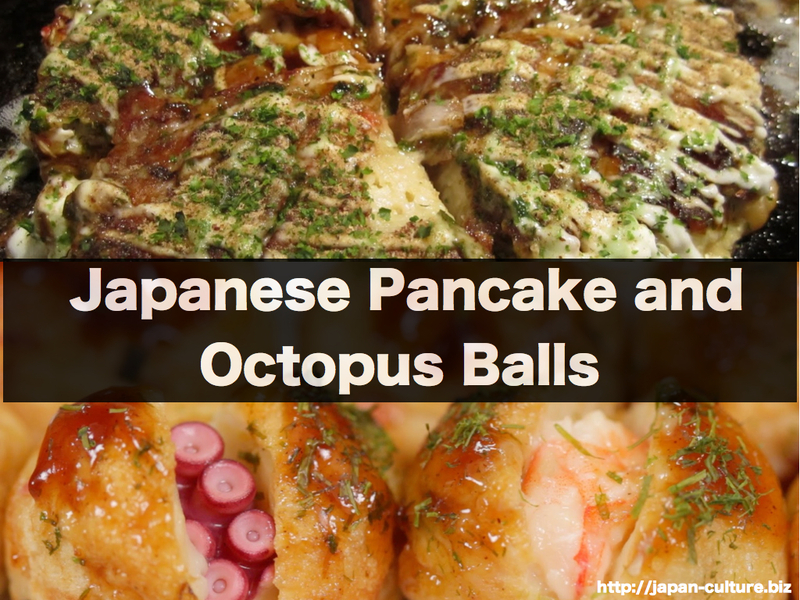 Okonomiyaki is the Japanese pancake, and takoyaki are octopus balls. They are served in restaurants at reasonable prices or cooked at home. Both are served with a Worcestershire-like sauce. 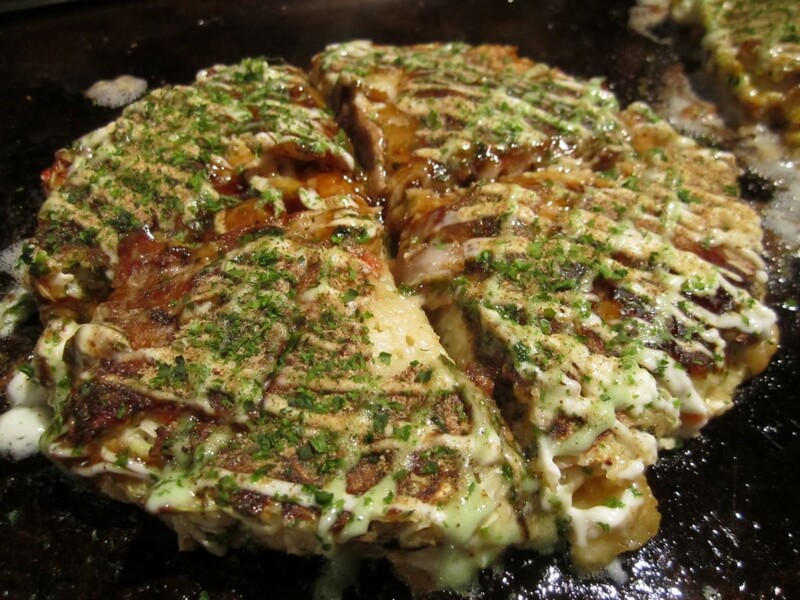 The batter for okonomiyaki is made from flour, eggs, and stock. We mix minced cabbage and seafood or meat into the batter and fry the mixture on a hotplate. At many okonomiyaki restaurants, you do the pan-frying yourself on a hotplate attached to the table. 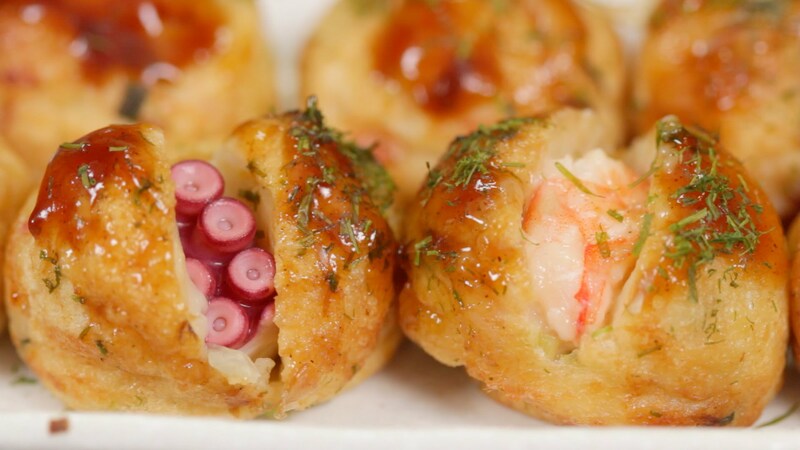 Takoyaki’s main ingredient is octopus. Other ingredients are similar to those of okonomiyaki, but unlike the okonomiyaki, they are bite-size balls. We often buy a set of several balls from a stand on the streets.